Seat with adjustable back rest for comfort. Extremely stable, resistant and comfortable. If you want to design your own adventure and enjoy the freedom of kayaking at your own pace, we also offer our kayaks for hire. All our kayaks are top of the range kayaks. They have seats with adjustable backrest, which makes them very comfortable. Also, they have secured compartments to store your valuable items and a “kayak boot” with strings to secure your belongings. 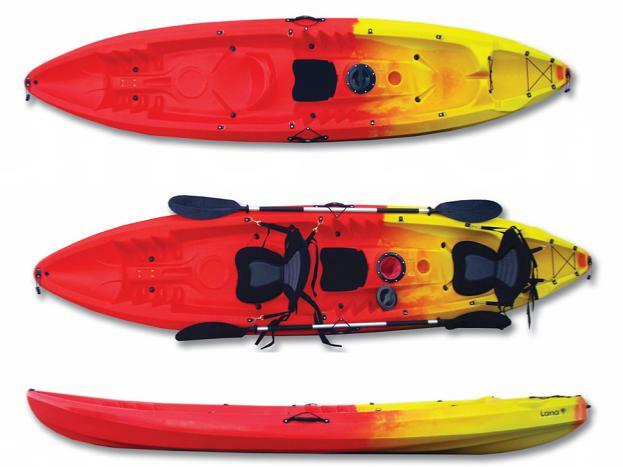 Moreover, some of our kayaks have fishing rod holders for a complete adventurous experience. Importantly, they are very stable and therefore no experience is required. 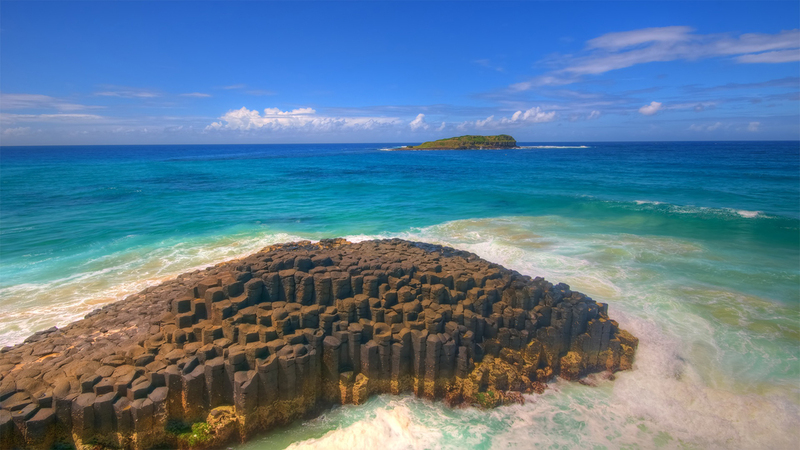 Additionally, one of our staff members will show you a map of the Island and give you a safety induction. We have single and double kayaks available to hire. Our double kayaks can suit a family of three, because a seat can be installed in the middle for a child, thus converting it into a triple kayak. We launch our kayaks from the Broadwater, where we will have your equipment ready to go on your adventure, and you will have lots of places to visit such as Wave Break Island. We park our van and trailer from 480-486 Marine Parade, Biggera Waters, depending on availability. There is FREE and UNLIMITED parking available. We are flexible with times and we can also deliver your kayak at a time different than our original schedule, depending on availability. Please state the time you desire to come in your booking form. You can also call us to arrange your collection time. 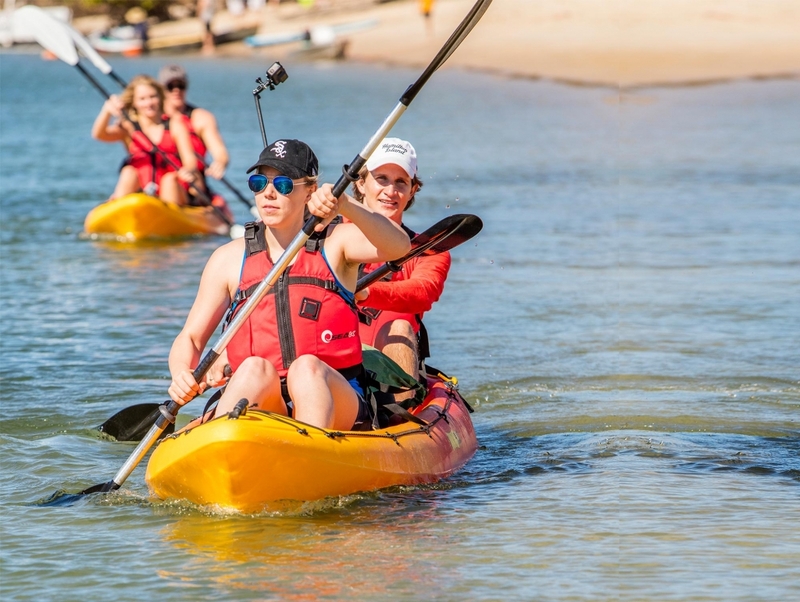 If you have a special event make your day different adding good fun with kayaks, stand up paddle boards and water bikes for your special event. We can bring all the equipment for you at the Broadwater or also our truck can go anywhere! So if you would like us to bring some equipment for your group please contact us to arrange delivery.